Hi friends! So happy to share with you some cards from awesome ladies, they are members from the DT of The Karber Weekly and Monthly Challenges. 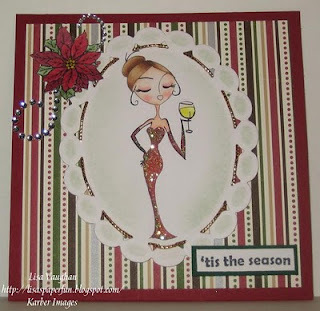 They have created really nice cards using Karber digital stamps. 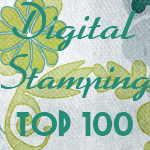 All the digital stamps from Karber are designed by Karla Barradas. And you can find them here. 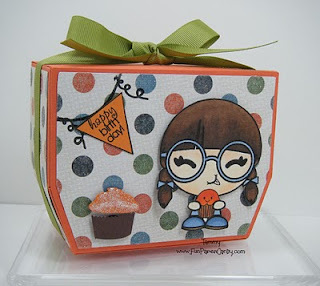 A big thank you to Mrs Weyremaster of The Manic World of Mrs Weyremaster for hosting this blog hop. 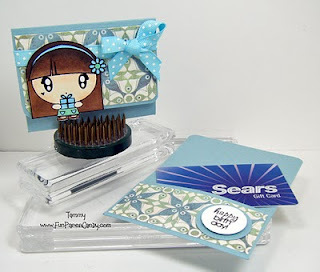 Leave a comment on this post and you get the chance to win a free digital stamp from Karber Shop! 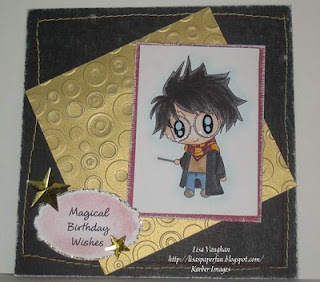 Love love the Harry Potter stamp by Lisa V. and I also love the Linda K.'s card. TFS! And all the cards are fabulous! Thank you everyone for sharing! Oh wow...They are so beautiful! Wow, all these cards are great. Going to have to add some of these images to my long list of must haves for 2011. Thanks for sharing. Very creative images. Love the gift card holder. Oh, beautiful card creations! The images are so cute! My fav is the last card. These are really, really adorable! Thanks so much for sharing them with us! These are so great. TFS. Thanks for sharing these beautiful DT cards! I see a couple of images that are now on my wish list. I am seeing stamps that I've never seen before. TFS. I've never seen several of these images, but they are all so cute! Thanks for sharing your selection of favorites. So so cute!!! Just adorable!!! What a beautiful collection of cards! I enjoyed looking at all of them. I really love the Cocktail Denny card! She is fab! What a fun collection of DT cards- I love the baby....all of them are really cute. What wonderful cards. TFS. Happy New Year! Stunning cards, thanks for sharing! Love the Happy Holidays one! These are adorable! The 2nd card is my fave! So sweet! Wonderful! Love the sparkly dress on #3 especially. Thanks for sharing your faves! What a lovely collection of cards. Wishing you a Happy and creative New Year! Great selection of cards!! TFS! LOVE the Karber cards!!! You did a GREAT job with them!! LOVE the tis the season card. The image is super cute! Great cards!#3 is my favorite! YOur cards are gorgeous!! Happy new Year!! soooooooo adorable especially the baby one. BlueHost is definitely the best hosting company for any hosting plans you might require.